Mazda is set to launch its first serious all-electric model. Due in 2020, It’s a model that won’t look dramatically different compared to other cars in its range and one not developed as part of the automaker’s 2017 tie-up with Toyota. 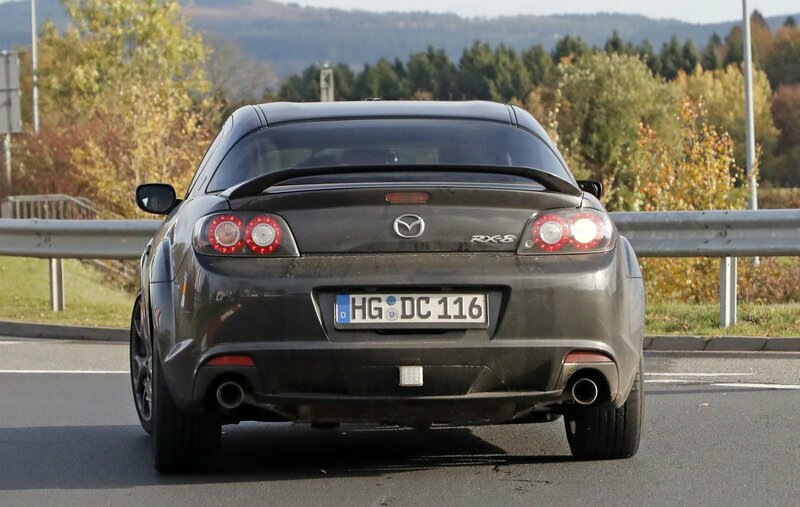 Mazda is finally resuscitating the rotary engine, but not in the way that the fans would have hoped. 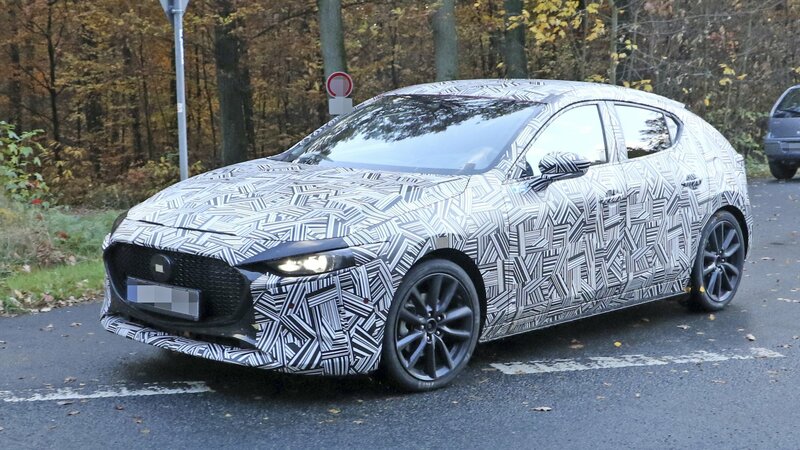 The Wankel will be used as a range extender for one of Mazda’s upcoming EVs which are part of its ’Sustainable Zoom-Zoom 2030’ program. It’s been three years since Mazda unveiled the stunningly-beautiful RX-Vision concept at the Tokyo Auto Show and we’ve been dreaming of a rotary resurgence ever since. Now, finally, it’s going to happen. Mazda will launch its first two EVs soon, the first as early as 2019, and one of them will have a Wankel engine which will act as a range extender. 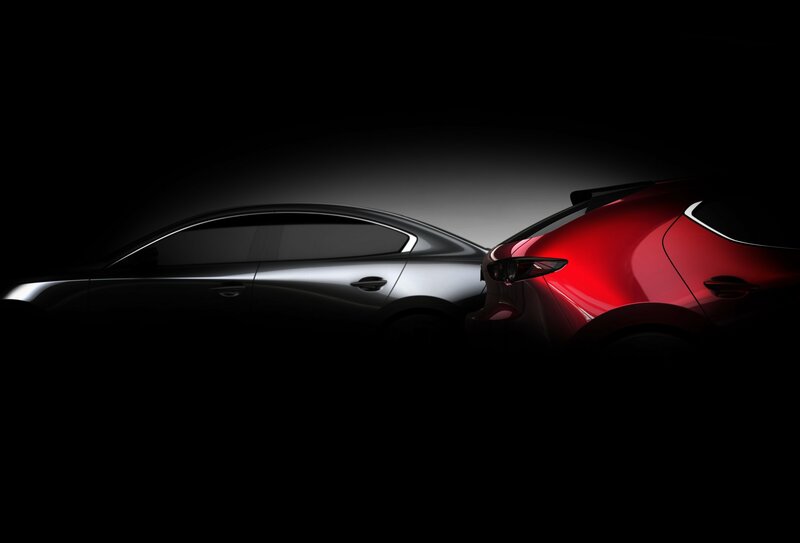 The other new car, however, will be the first true EV built by Mazda. The subcompact crossover segment is the fastest growing segment currently. 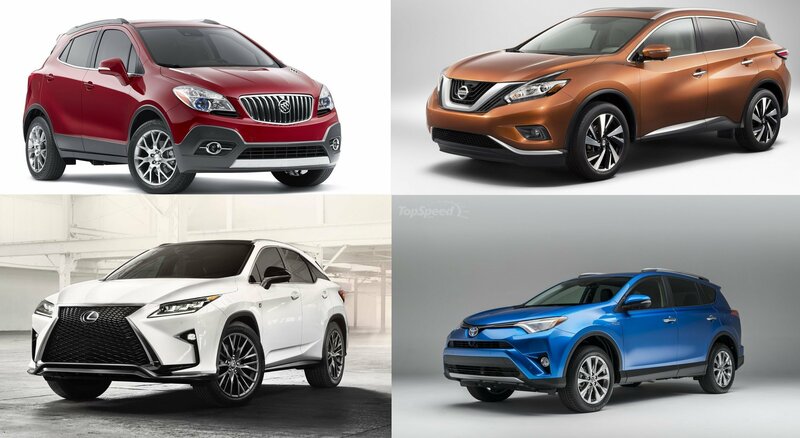 Crossovers are turning out to be the evolved form of sedans, with more and more people opting for cars with raised stance and an SUV look. 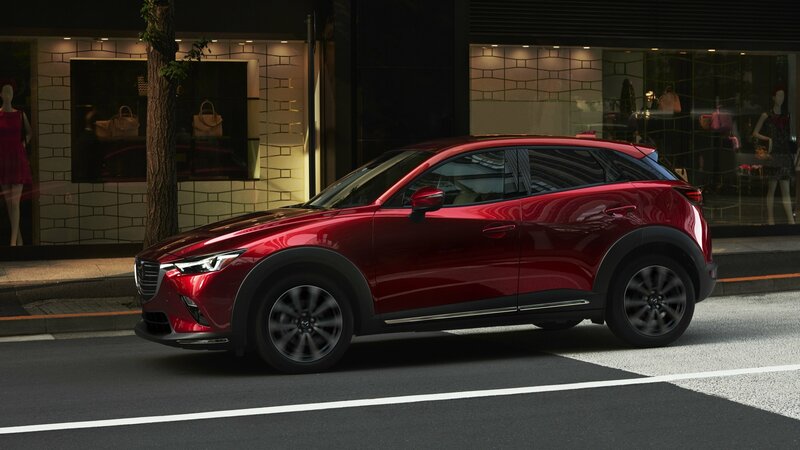 It looks like Mazda has taken a note of the same and has finally launched the refreshed CX-3, three years after its launch, to rake in a bigger share of the pie. 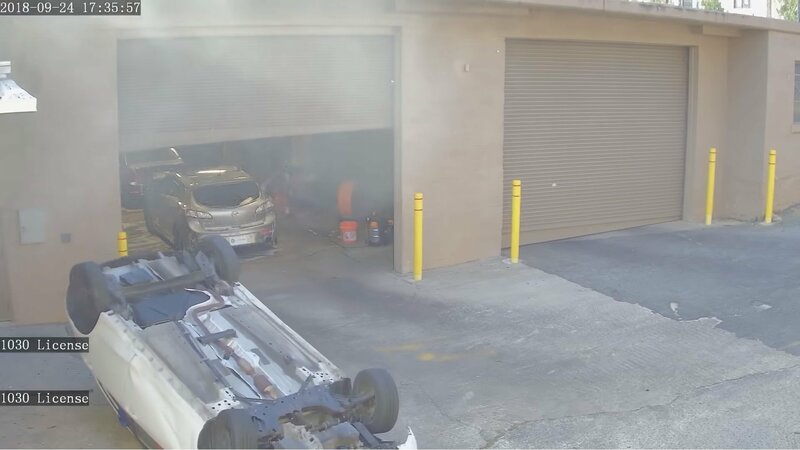 After selling an average of 1500 units per month since its inception, the car was in desperate need of a refresh to give that number a boost. 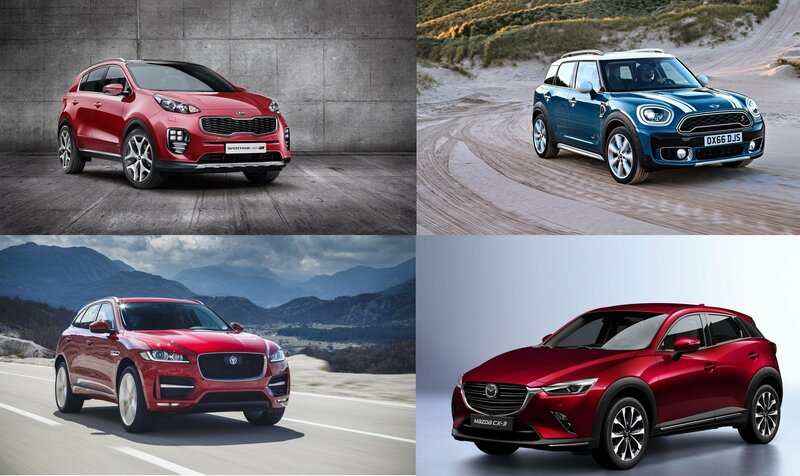 Despite being a bang-for-the-buck car, the CX-3 never brought volumes for Mazda. Can changes for the 2019 model year brighten its fortunes? 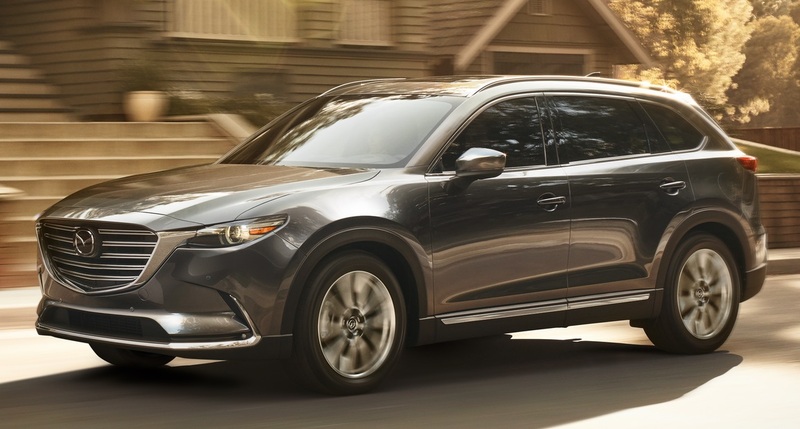 The full-size SUV market in the U.S. is not really as crowded as you might think, which is probably why Mazda can get away with upgrading their contender for this segment, the Mazda CX-9, once every century. But they have done it now, sort of, and gave the 2019 model a bunch of extra equipment. 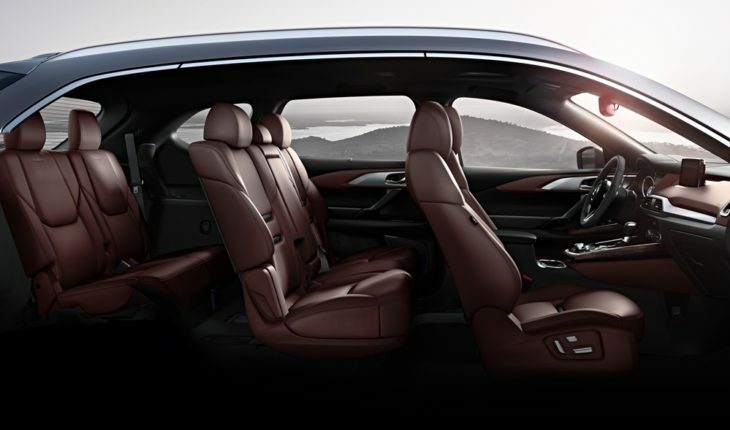 The main highlights of the upgraded 2019 Mazda CX-9 include factory-equipped Apple CarPlay and Android Auto infotainment from the Touring trim upward, 360°View Monitor, ventilated front seats and SiriusXM Travel Link Services. You also get retuned suspension that offers a smoother, quieter and more natural ride and greater sound suppression in addition to thicker headliner and thicker floor mats so the whole thing is more quiet and comfortable for long distance cruising. The standard equipment on every 2019 Mazda CX-9 include 18-inch alloy wheels, 7-inch MAZDA CONNECT infotainment screen with revised Commander control knob, cloth seats, LED headlights and tail lights, one-touch front and rear power windows, rear privacy glass, three-zone automatic climate control, Bluetooth hands-free phone and audio pairing, keyless entry and push-button start, Smart City Brake Support automatic emergency braking, Blind Spot Monitoring with Rear Cross-Traffic Alert. That is a lot of kit for a $32,280 car, but if you are willing to spend more, you get a lot more. The post 2019 Mazda CX-9 Pricing, Specs, Upgrades appeared first on Motorward. Along with the upgrades they have given to the regular MX-5 Roadster, Mazda has also thought a few new tricks to the hardtop version. 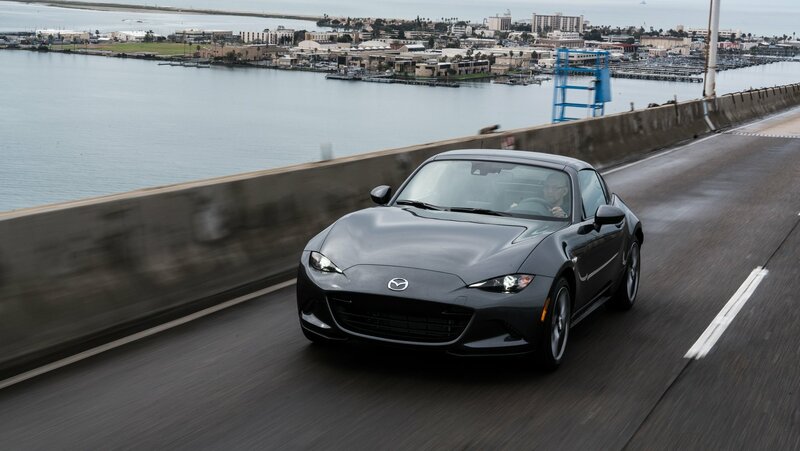 The 2019 Mazda MX-5 Miata RF comes with more power as well as new features and equipment that make using the car on a daily basis a lot sweeter. 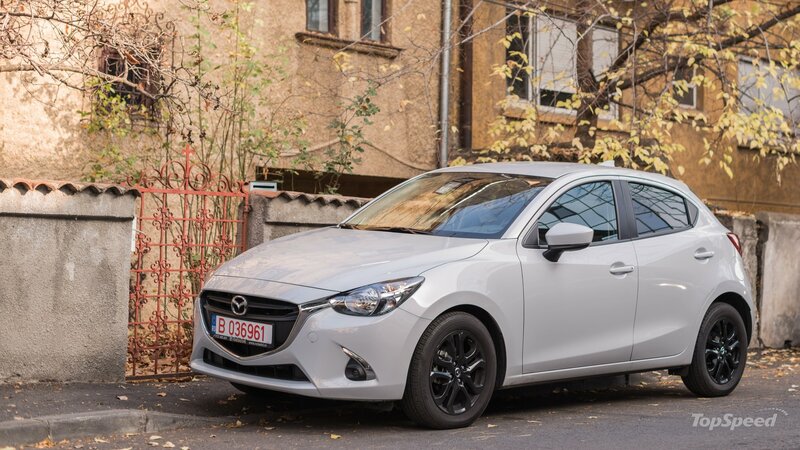 While most other manufacturers in this segment are downsizing their engines to 1.4 liter or even smaller, Mazda sticks to their guns with the 2.0 liter SKYACTIV-G motor. 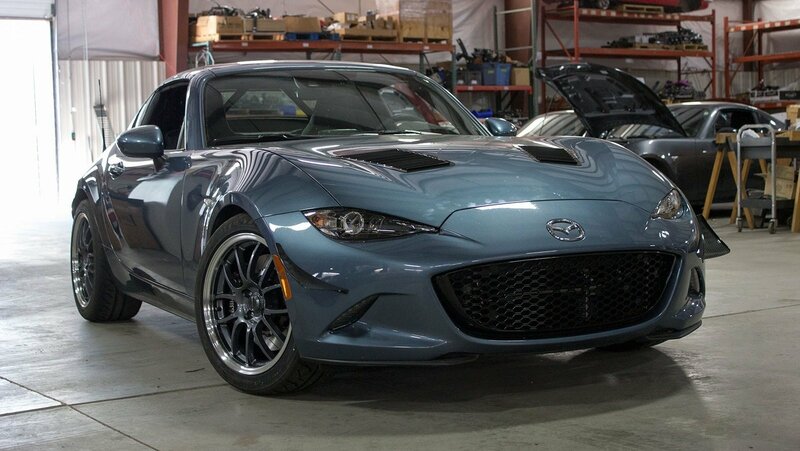 The 2019 Mazda MX-5 Miata RF features a tuned version of that unit with an extra 26 horsepower and 3 lb-ft of torque for a total of 181 horsepower at 7,000 rpm and 151 lb-ft of torque at 4,000 rpm. Now that is some decent power for a tiny sports car like the Miata. 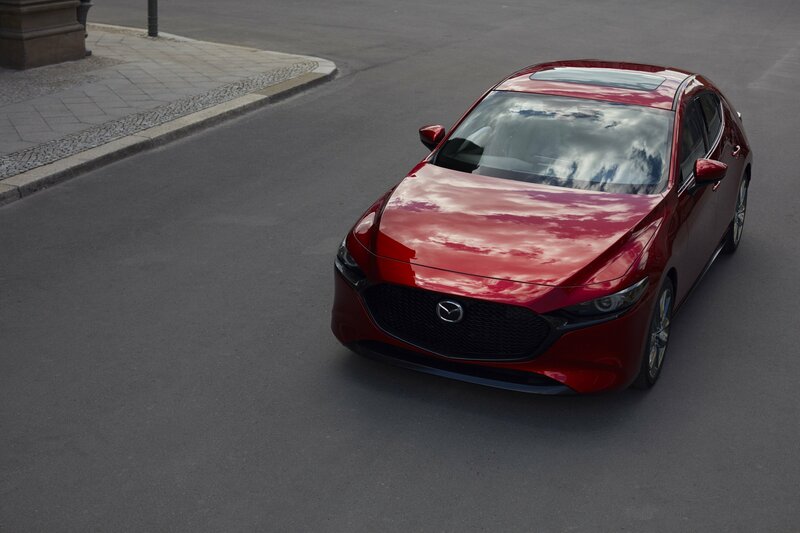 The new engine comes paired to either a standard SKYACTIV-MT 6-speed manual transmission or an available 6-speed automatic transmission with paddle shifters and Sport mode. 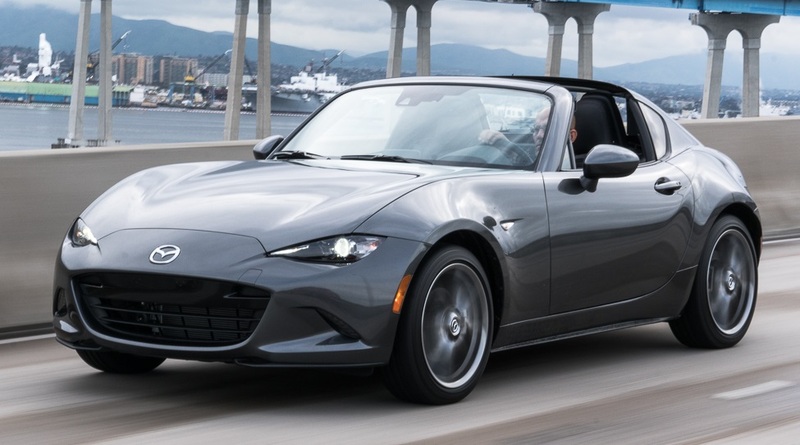 The post 2019 Mazda MX-5 Miata RF – Pricing and Specs appeared first on Motorward. Responding rather quietly to what their customers have been asking for the last two years, Mazda has implemented a number of upgrades on the latest iteration of the Miata. 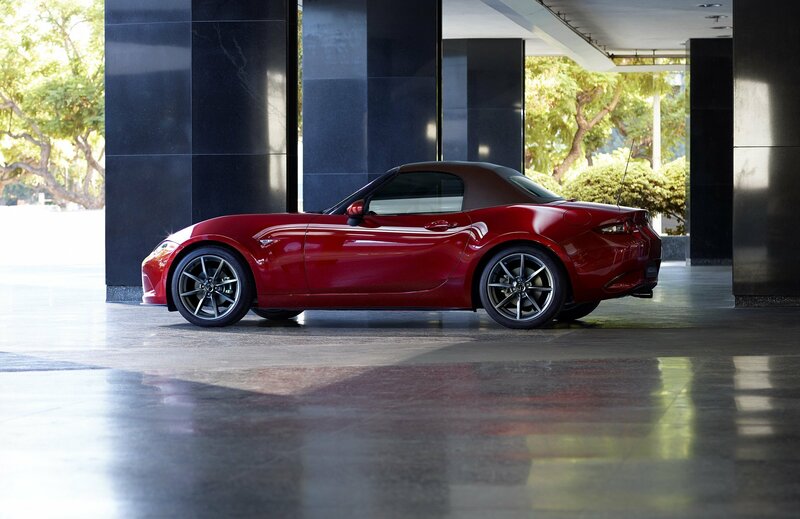 The 2019 Mazda MX-5 comes with 17 percent more power and new high-tech equipment for improved convenience and safety. 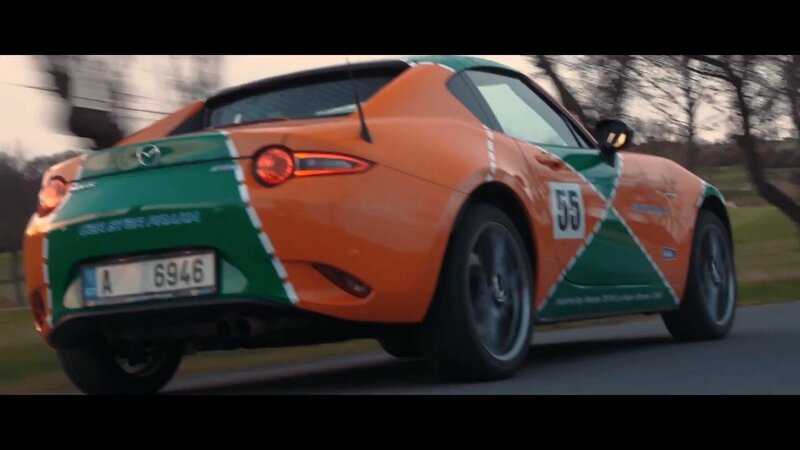 Adding more power to the MX-5 kind of goes against the car’s whole philosophy which is to achieve greatness through a perfect balance low weight, moderate power and managed expectations. But people have been asking for it, and so 2019 Mazda MX-5 gets a boost SKYACTIV-G 2.0-liter engine and now offers 181 horsepower and 151 lb-ft of torque. Apparently the engineers have done some real hard-core technical work on the engine to achieve the extra oomph and also increase the redline to 7,500 rpm. Among the less boring technical work they have done we can mention the addition of a new exhaust system with a richer noise and a higher final drive ratio for the transmission. But besides the power upgrade the 2019 Mazda MX-5 also comes with a new brown soft top for those who are tired of black, and it gets new black metallic 17-inch wheels, a newly telescoping steering wheel (30mm of travel), easier-to-open doors and revised door stops and revised cupholders and seat levers as well. In terms of more techy features, the 2019 Miata comes with a new, standard rearview camera and newly available features such as Traffic Sign Recognition and Smart City Brake Support in addition to other i-ACTIVSENSE safety technologies. 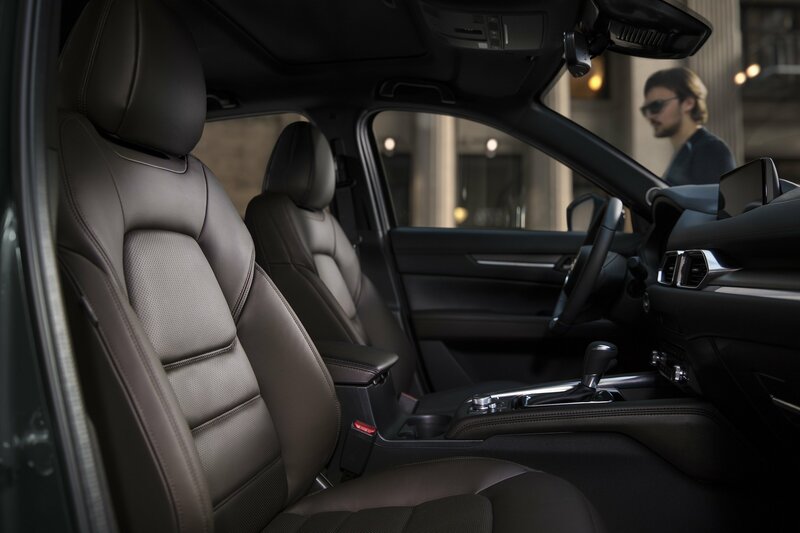 Mazda mentions that the new equipment adds 7lbs to the weight of the car, but you can alleviate that by not having lunch. 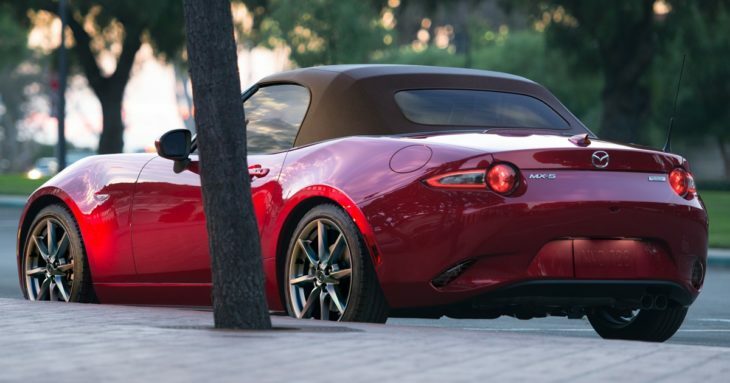 The post 2019 Mazda MX-5 (US-Spec) Gets Power and Tech Upgrade appeared first on Motorward.